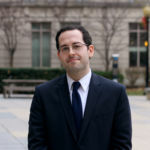 Alvaro Bedoya is the founding director of the Center on Privacy & Technology at Georgetown Law, where he is also a visiting professor and director of the Federal Legislation clinic. He is an expert on digital privacy issues, including government surveillance and commercial data collection, with a focus on their impact on immigrants and people of color. In 2016, he was co-author of The Perpetual Line-Up: Unregulated Police Face Recognition in America, the Center’s year-long investigation into law enforcement use of biometrics, and testified before Congress and state legislatures on its findings. Prior to joining the Center, Alvaro served as Chief Counsel to the U.S. Senate Judiciary Subcommittee on Privacy, Technology and the Law, and co-founded the Esperanza Education Fund, a non-profit status-blind scholarship fund for immigrant students. He is a graduate of Harvard College and Yale Law School, where he received the Paul & Daisy Soros Fellowship for New Americans. You can follow him on Twitter at @alvarombedoya. 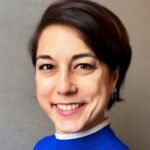 Laura Moy is the Executive Director of Georgetown Law’s Center on Privacy & Technology. She has written, spoken, and advocated before federal agencies and Congress on a broad range of technology policy issues, including law enforcement surveillance, consumer privacy, security research, device portability, copyright, and net neutrality. Her current work focuses on policy issues at the intersection of privacy and the criminal legal system. Before joining the Center, Laura was Acting Director of the Communications & Technology Clinic at Georgetown Law’s Institute for Public Representation. Prior to that, she worked at New America’s Open Technology Institute and Public Knowledge. Laura completed her J.D. at NYU School of Law and her LL.M. at Georgetown. Before law school, Laura analyzed cell site location information for the Manhattan District Attorney’s Office. You can follow her on Twitter at @lauramoy. Katie Evans is the Director of Communications & Operations at the Center. She also explores the intersection of art, privacy, and technology. Before coming to Georgetown Law, she worked in research centers at American University Washington College of Law, University of Minnesota Department of Global Studies, and University of Texas San Antonio College of Education and Human Development. She has a B.A. in international studies from the University of Minnesota Duluth and an M.A. in political science from Central European University. Her thesis focused on political communication and technology. You can follow her on Twitter at @mskatieevans. 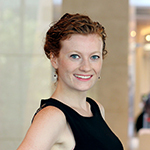 Clare Garvie joined the Center as a Law Fellow after graduating from Georgetown Law in 2015, and now serves as a Senior Associate. In 2016, she was lead author of The Perpetual Line-Up: Unregulated Police Face Recognition in America. 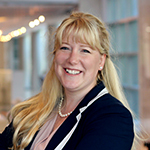 Her current research continues to focus on the use of face recognition by law enforcement and the ways activists, public defenders, and policymakers can ensure the technology is under control. Prior to entering law school, she worked in human rights and international criminal law with the International Center for Transitional Justice. She received her B.A. from Barnard College in political science, human rights, and psychology. You can follow her on Twitter at @clareangelyn. 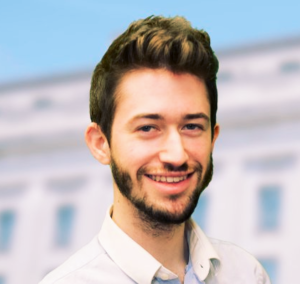 Harrison Rudolph joined the Center as a Law Fellow after graduating from Georgetown Law in 2016 and now serves as an Associate. He was the lead author of Not Ready for Takeoff: Face Scans at Airport Departure Gates. Harrison’s research focuses on government surveillance of immigrants and other vulnerable communities. As a law student, Harrison drafted and pitched commercial facial recognition privacy legislation at the Center’s inaugural joint Georgetown Law-MIT privacy legislation practicum. And in Georgetown’s Federal Legislation Clinic he worked on policy issues affecting unaccompanied children seeking asylum in the United States. Harrison received his B.A. from The George Washington University in political science. You can follow him on Twitter at @harrisonsethdc. Jameson Spivack is a Policy Associate with the Center, where he provides research and administrative support. He was previously a graduate intern and summer research fellow with the Center. Jameson earned a master’s degree in 2018 from Georgetown University’s Communication, Culture & Technology program, where his studies focused on tech policy and ethics. Before graduate school, he worked in communications and marketing for an international development organization. He received a B.A. in government and politics from the University of Maryland, with a focus on international development and conflict management. You can follow him on Twitter at @spivackjameson. Gabrielle Rejouis is a Law Fellow at the Center. She received her J.D. from Georgetown Law in 2018 with a Certificate in Refugee and Humanitarian Emergencies. 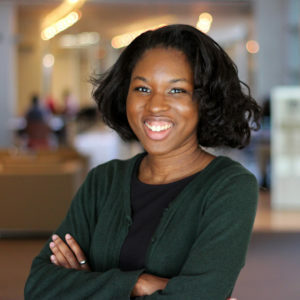 During law school, she interned at the Federal Communications Commission in the Media Bureau. Gabrielle has a B.A. in history from the New Jersey Institute of Technology, where she was an Albert Dorman Honors Scholar. You can follow her on Twitter at @gabriellexgem. 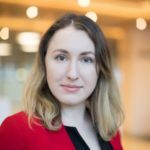 Julia Chrusciel is a Staff Technologist at the Center on Privacy & Technology at Georgetown Law. Her current work focuses on the use of biometrics within the criminal legal system, specifically regarding the admissibility of biometrics technology results as evidence and the use of artificial intelligence by law enforcement and governments for use in the public sphere. Before joining the Center, she graduated with an M.A. from the University of Chicago. There, she studied international media and technology policy from an interdisciplinary perspective and was an International House Fellow. She previously worked as a web developer at the NYU Governance Lab and as a freelance journalist internationally. She received her B.A. from Wellesley College. You can follow her on Twitter at @juliamchrusciel. 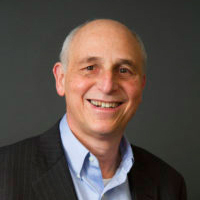 Professor Cohen is one of the nation’s foremost privacy theorists. Professor Cohen teaches and writes about copyright, information privacy regulation and the governance of information and communication networks. Her recent book, Configuring the Networked Self: Law, Code, and the Play of Everyday Practice (Yale University Press, 2012), was awarded the 2013 Association of Internet Researchers Book Award and was shortlisted for the Surveillance & Society Journal’s 2013 Book Prize. Professor Vladeck recently returned to Georgetown Law after serving for nearly four years as the Director of the Bureau of Consumer Protection of the Federal Trade Commission (FTC). The FTC is the nation’s chief regulatory agency charged with protecting privacy and data security with respect to commercial entities. During his tenure at the FTC, the agency brought over 50 privacy enforcement cases, many against large technology firms, including Google, Facebook, Twitter, Myspace and others. The agency also issued many guidance documents on online and mobile privacy. Professor Vladeck is a member of the National Academy of Sciences Committee on Science, Law and Technology, and is on the boards of the Natural Resources Defense Council, the Center for Democracy and Technology, and the National Consumers Law Center. Professor Campbell is one of the nation’s leading advocates for protecting children’s privacy. She has taught at Georgetown Law’s Institute for Public Representation (IPR), a legal clinical program and public interest law firm, since 1988. IPR represents nonprofit organizations before the Federal Trade Commission and the Federal Communications Commission to enforce and establish media policies in the public interest. Professor Donohue is one of the nation’s leading experts on constitutional law, national security law and emerging technology. She directs Georgetown’s Center on National Security and the Law. In 2015 she was appointed as an amicus curiae to the United States Foreign Intelligence Surveillance Court under the USA FREEDOM Act. Her articles have been published by California Law Review, University of Chicago Law Review, Stanford Law Review, and numerous other journals. Her most recent book, The Future of Foreign Intelligence: Privacy and Surveillance in a Digital Age (Oxford University Press, 2016), was awarded the 2016 IIT Chicago-Kent College of Law/Roy Palmer Civil Liberties Prize. Professor Ohm is an expert in issues at the intersection of privacy Paul Ohmand technology. As both a lawyer and computer programmer, he writes and teaches about information privacy, Internet law, computer crime, and cybersecurity. 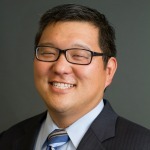 He has served as the Senior Policy Advisor at the Federal Trade Commission and as a trial attorney in the Department of Justice’s Computer Crime and Intellectual Property Section. You can follow him on Twitter at @paulohm.